Our auto repair specialists at Ervine’s Auto Repair & Grand Rapids Hybrid would enjoy working on your Chrysler. If you’ve been driving around the Grand Rapids area searching high and low for auto mechanics for your Chrysler, stop by or make an appointment. Whether your Chrysler vehicle needs a quick service or a bigger maintenance job, we are here for you. 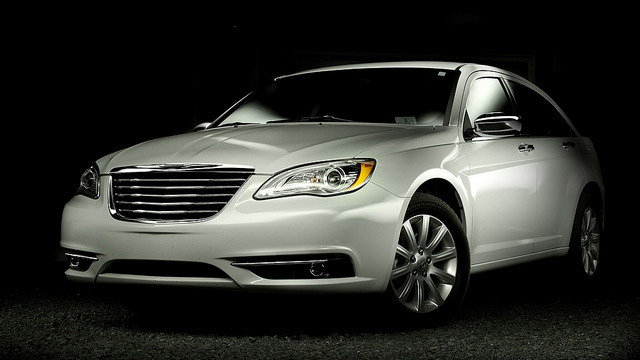 The Chrysler brand is known both for its power and its luxury. And at Ervine’s Auto Repair & Grand Rapids Hybrid, we know you don’t want just anyone touching your car. We know that Chrysler owners are a special breed, and we’ll take care of your vehicle and give that car the respect it deserves. After all, Chryslers need attention and service just like any other car. Why bring that Chrysler to us, though? First of all, we’ve been in the Grand Rapids area working on Chryslers and other vehicles for many years. There are never any surprises when you come to pick up your car. We operate with integrity and with your best interests at heart. We provide you with a 3-year/36,000-mile warranty for your peace of mind. We have loaner cars and a shuttle so you can get on with your day. And we appreciate the reviews from our valued customers. The auto repair technicians at Ervine’s Auto Repair & Grand Rapids Hybrid would love to service your Chrysler. Come in for the top-notch service that you deserve. Schedule an appointment today. Ervine’s Auto Repair & Grand Rapids Hybrid is located at 4311 Stafford SW, Grand Rapids, Michigan 49548. We’re open Monday - Friday from 8:00 AM - 5:00 PM. We look forward to your visit!